Available in 200 different fabric patterns, frames can be made in 53 colours with 9 different trend effects, we visit you in your own home. Arrange your free no obligations site survey today. 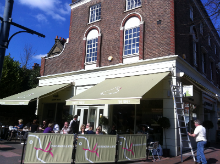 Supply and installation of awnings in Kent. What makes Savills tick? Our family run business has over 20 years experience we simply provide straight-forward quality advice,visiting you in the comfort of your own home enables us to really understand your needs and wants. 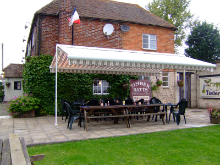 This customer first approach also helps us to recommend the perfect awning for you. Our costumers benefit from a single point of contact through-out the ordering and installation process, we do not believe in high pressure sales tactics. Well installed awnings have the ability to improve the look, feel and most importantly the value of your home. 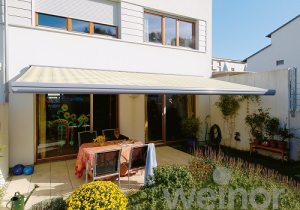 This is because an Awning provides the perfect solution when considering ways of increasing your living space and overall quality of life. With the addition of an Awning, well planned social events will no longer be at the mercy of the unpredictable British climate. 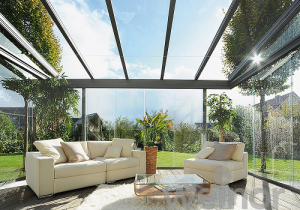 At Savills The Awning Company Ltd we can help you to enjoy your garden more whatever the weather. 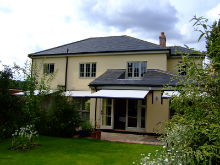 Savills provide and install Patio Awnings, Pergola Awnings which are both often refereed to as Garden Awnings, Garden Canopies or sun awnings, another product expertly fitted by the team at Savills are Conservatory Awnings. Curtains, upholstery and furniture that are traditionally exposed to the suns harmful rays will be protected and there-fore keep their natural colour for longer. Decor: When deciding which Awning to install it is important to consider the age, look and feel of your home. 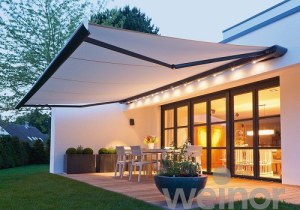 Savills The Awning Company only install high end German engineered Weinor Awnings all of which are available in modern contemporary and traditional finishes not to mention 200 different fabric patterns! This along with 53 frame colours and 9 trend effects. Reliability:At Savills all of our high end domestic awnings come complete with a 5 year warranty this is due to the supreme build quality of our custom made Awnings. Features: Awnings can be provided in many sizes dependent on your needs and start from a minimum size of 1.5 metres up to a maximum size of 7 metres for a one piece awning. 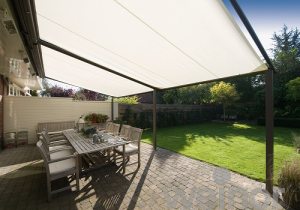 More than one awning can be joined to achieve a size of up to 21 metres. Savills have the perfect Awning for your home or commercial premises, contact us today and take the first step to improving the look, feel and value of your home, Savills The Awning Company Ltd have you covered. 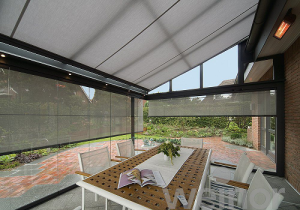 Other products include Vertical Blinds and Glass Patio Roofs. The team are also able to provide a quality awning repairs service. We felt we had to drop you a short note just to say how we have been impressed with your first class service. No hard selling just good advice and an excellent product and service. Thank you all at Savills. Excellent job from start to finish,keep up the good work. At Savills Awnings in Kent we believe dry customers are happy customers, the same can be said of staff. When it comes to business Savills Commercial Awnings can be the perfect solution, from outside break-out areas to awnings for smokers. Commercial awnings in Kent also called canopies can enable a busy venue to maximise their existing space this helps to increase capacity and ultimately revenue. 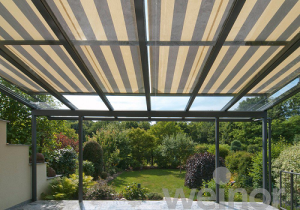 Robust: Commercial installations need to be hard wearing as constant everyday use naturally leads to wear and tear, all of Savills Weinor awnings are individually crafted from hard wearing acrylic or polyester fabrics. Unique: Fabrics are available in over 200 colours, frames can be produced in 53 colours and 12 different effects. Additional colours can be produced upon request. Commercial awnings are subject to a full one year warranty as standard. Turnaround: Your awning installation can be completed in 3 weeks all awnings in Kent are custom built to exact specifications in Germany. From the initial consultation Savills will keep you informed of the progress of your order. Commercial awnings are the perfect solution that can help to increase staff well-being and takings! 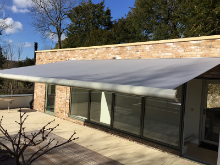 Savills will be able to advise you which awning is most suitable for your needs, adjustments to brackets and fitments can be made ensuring that the chosen installation fits seamlessly with the look and feel of your commercial premises and your existing gutters and roof. Who can benefit: Business and public bodies that can benefit from the installation of awnings in Kent include Pubs, Restaurants and schools. At Savills The Awning Company Ltd we have many happy customers in each of these sectors.